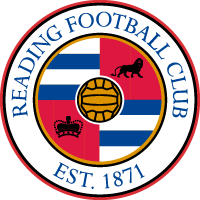 Following a third win on the bounce, the Royals travelled to last season's Champions and FA Cup winners Chelsea, who sat one place and one point below Reading before kick-off. It was a lively opening to what was expected to be a tight affair. Fara Williams curled an effort just wide inside the opening minute. Five minutes later, a Chelsea corner wasn't cleared and Magdalena Eriksson hit the post from Millie Bright's cutback. Williams tried another effort from the edge of the area which was well held by Blues goalkeeper Hedvig Lindahl inside 9 minutes. Soon after, Gemma Davison dragged a shot wide. Grace Moloney was called into action with a few routine catches as the hosts began ramping up the pressure, utilising the space in wide areas. However, a poor first touch from Bright allowed Brooke Chaplen to race clear, she was only stopped by a sensational recovery tackle from the Chelsea defender; making amends for her error. The Blues continued to create chances and almost scored as a cross from the right caused havoc in the six-yard area. Between Jo Potter and Natasha Harding, Reading managed to clear off the line and out for a corner. At the other end, Williams' free-kick wasn't far over the bar. The hosts began the second half on the front foot. Cuthbert fired wide and Moloney pulled off a superb stop to her left, denying Ji So-Yun. However, moments later Ji was found in space and finished neatly into the bottom corner on this occasion from inside the penalty area, four minutes into the second half. Ramona Bachmann was a continuous threat down Chelsea's right. On 61 minutes a neat step-over allowed her to get past Maz Pacheco before drawing a good save from Moloney, who held it well. Another fine stop from Moloney at her near post kept out England, following a swift Chelsea counter-attack five minutes from time. Soon after, she got down well to stop Carney's strike across goal from the other side. The Royals threw everything at the hosts in the dying embers of the game. Remi Allen tried an overhead kick which was saved, while a goalmouth scramble was somehow cleared. After the game, manager Kelly Chambers said "I thought the performance from the girls today was outstanding. But, result wise we fell short. We just need to make sure that doesn't affect us going into next week." "The key message is we need to make sure that we're better taking on information at half-time to then deliver it out on the pitch. The performance over the 90 minutes was fantastic and we need to make sure we keep building on that." 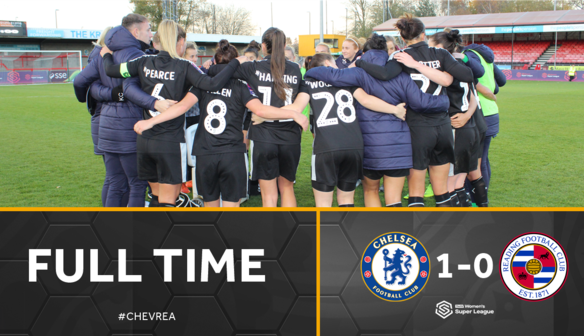 Midfielder Rachel Furness said "We know what we were coming up against playing Chelsea. They're a very good side. (It was a) tough test; I thought we could have got more out of the game." "Every game for us is a cup final so we'll evaluate this and look at Liverpool. Hopefully we can get two good wins within a week."